, so named in Italy, and usually so called, was born in 1589, at Xativa, a city in Spain, about ten leagues from Valentia. 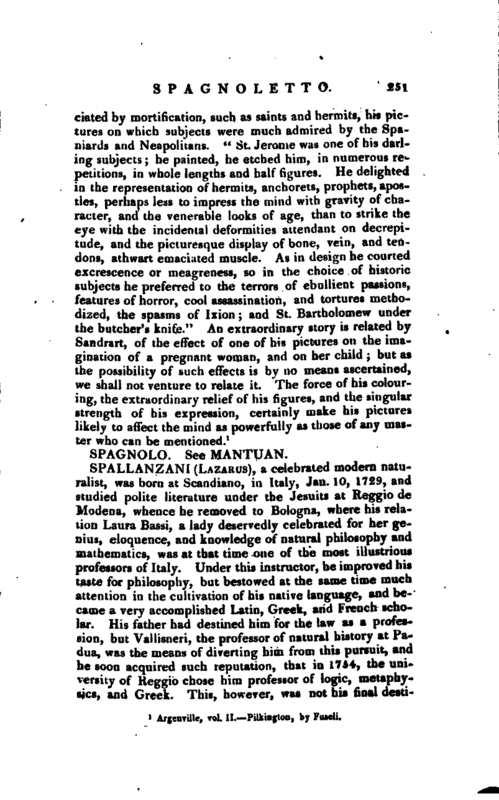 Though his parents were not in circumstances to give him the education in painting which his early genius deserved, he contrived to travel into Italy, and there applied to his art under the greatest masters. He first resided at Parma, where he so completely studied the works of Correggio, as to be able to imitate his style and colouring with great success. He then removed to Rome, where he changed his manner altogether, and adopted Caravaggio as his model. Like that master, he painted with bold and broad lights and shadows, and gave so extraordinary a degree of force to his pictures, that the works of most other artists, when placed near them, appear comparatively tame and feeble. In his colouring he is esteemed equal to Caravaggio, and superior to him in correctness of design; yet inferior in sweetness and mellowness of touch. 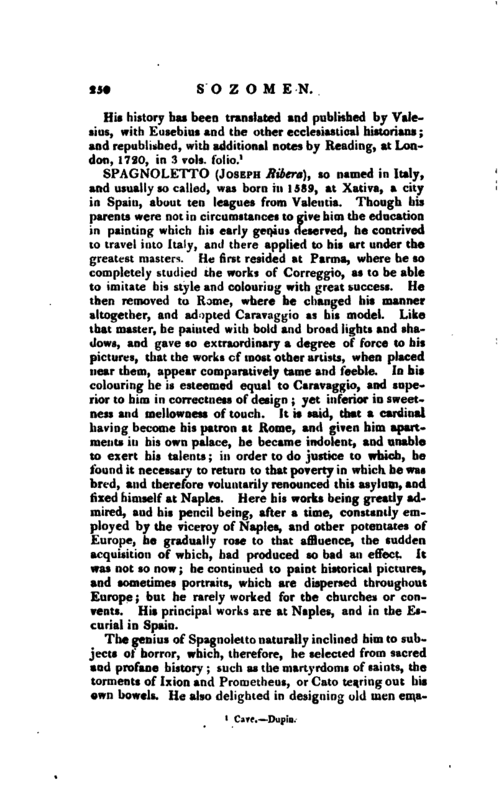 It is said, that a cardinal having become his patron at Rome, and given him apartments in his own palace, he became indolent, and unable to exert his talents; in order to do justice to which, he found it necessary to return to that poverty in which he was bred, and therefore voluntarily renounced this asylum, and fixed himself at Naples. Here his works being greatly admired, and his pencil being, after a time, constantly employed by the viceroy of Naples, and other potentates of Europe, he gradually rose to that affluence, the sudden acquisition of which, had produced so bad an effect. It was not so now; he continued to paint historical pictures, and sometimes portraits, which are dispersed throughout Europe; but he rarely worked for the churches or convents. His principal works are at Naples, and in the Escurial in Spain. Argenville, vol. II. Pilkingtou, by Fusili.